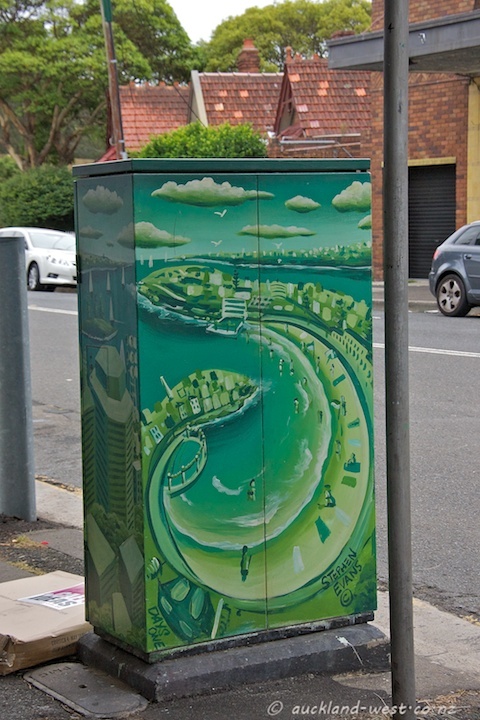 At the corner of Oxford and Nelson Streets, Bondi Junction. 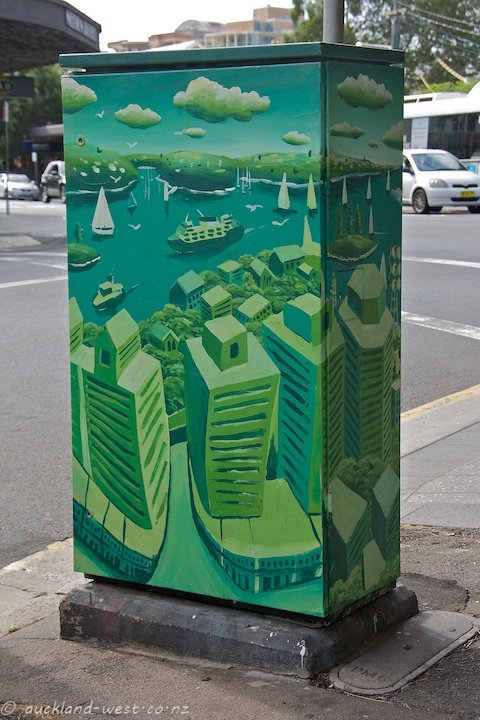 It is always fun to see painted utility boxes in other places, although I did not come across many here in Sydney. The artist is Stephen Evans.